Digital Hospital Inc. invents Insulin Smart Sensor Device to effectively measure and verify insulin for the first time in history to improve hospital safety among diabetics, filling the gap. 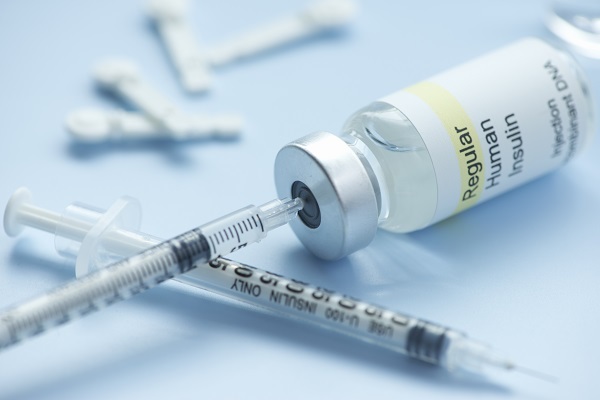 The problem we solve: The problem is that there is not currently an effective way to verify the type and amount of insulin administered in a hospital setting, nor is there a way to verify that the medication is administered to the correct patient. This leaves patient safety too vulnerable to human error. 1/3 of diabetics will die this year due to insulin medication administration errors because it is the only high risk medication that cannot be currently verified because nothing exists today that can measure liquid medication under 1 Ml. That's why medical device companies are excited about our medical device and software. We have the opportunity to save thousands of lives every year. Our device will be needed by Medicare to effectively measure all insulin interactions in all hospitals because there is currently nothing in existence that can measure insulin digitally. We have the solution and we close a very important gap in US history. About our solution: Digital Hospital Inc. is a team of veteran pharmacists and engineers who have developed and patented a medical device and software based on new Volumetric Measurement Software (VMS) technology which accurately measures insulin volumes as low as 0.03 mL (and up) in a syringe, as well as automatically documenting administration in the hospital's Electronic Health Record. VSS makes the process faster, more affordable and more accurate than current practice. (No other device currently exists on the market today that is capable of accurately measuring volumes less than 1 mL). How it works: Once the type and amount of insulin drawn up in the syringe matches the prescription in the hospital's electronic health record (EHR), the nurse receives positive feedback from the device and a bar-code label is produced to attach to the syringe. At the point of administration, the syringe label is scanned and the type and dosage of insulin is automatically recorded in the patent’s EHR. Digital Hospital, Inc. has started a Change.org campaign and we currently have 100 signatures from people who realize that a change in hospital safety has to be mandatory. Leaving insulin dosage up to human error is not okay and people are experiencing death as a result. We have a working prototype and excitement from a leading medical device company in regards to our software, so we are working diligently on a partnership. We also have a few stockholders and hospitals who say that they will purchase the device. We are a team dedicated to improving hospital safety and saving lives. 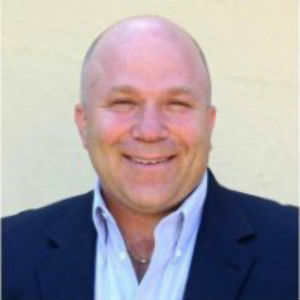 Bio: Phil Wyman graduated from Stanford University, with a degree in Economics (Class of 1974). After a real estate development project, he then became sales manager at a computer store. He moved on to become a programming engineer at Apple, specializing in automated software quality control. He bounced between Atari, Visicorp, back to Apple and then to General Magic. Phil has owned a digital marketing firm for the last ten years. Phil enjoys historical research, especially the USA’s circa 1783-1789. Chairman of the Board, Co-founder and Visionary, Pharm.D. from the University of California, San Francisco and a B.A. in Psychology from Stanford University. Biography: Kevin Brown has been the Director of Pharmacy for a 533 bed metropolitan Medical Center since 2004. The department consists of 130 pharmacists and technicians serving patients between 500 grams and 500 kilos, with a $60 million annual operating budget and $400 million in gross revenue. The facility delivers more than 6000 babies per year, performs 700 joint replacements, 600 open heart surgeries and both solid organ and bone marrow transplants as well as advanced heart therapies such as TAVR and VAD. The organization is among Hospital and Healthcare’s “Most Wired” healthcare organizations with a comprehensive EHR including CPOE and BBCMA. Prior to this role, he served as the Pharmacy Clinical Coordinator at the same facility from 1994 till 2004, and the Assistant Director of Pharmacy Services from 1989 till 1994. Kevin received his Pharm.D. from the University of California, San Francisco and a B.A. in Psychology from Stanford University. Advanced Degree(s): Pharm.D. from the University of California, San Francisco and a B.A. in Psychology from Stanford University. Biography: After 35 years in the computer industry as an engineer and project manager, Phil is having fun again developing medical device ideas and products as the Director of Hardware Development of Digital Hospital, Inc. After getting a degree in Electrical and Computer Engineering at the University of Michigan, Phil joined Hewlett-Packard where he developed disk controllers, data communications hardware, computer processor designs, and led teams in processor and system verification. He then joined Intel and led pre-silicon validation teams for both chip-sets and processors. He lives in San Jose with his wife and two kids, both who attend San Jose State. Besides his lifelong interest in computers and technology, he enjoys traveling, reading about all kinds of history, and binge watching good TV series. Location: 1009 E. Capitol Expwy. Forces best practices- for the nurse- when using our device, the nurse draws the insulin in the med room where they are supposed to. The nurse has to do it right in order to receive the bar coded label needed to document administration. This protects both the patient and the nurse. Saves money by reducing the amount of insulin purchased. The cost of insulin has increased 500% in the past 5 years. (Click here for article reference at www.digitalhospitalinc.com) It has the potential to reduce liability lawsuits when a nurse accidentally administers the incorrect medication(See our website for the Saltwater case study). We need FDA approval. Everyone does. However, we are a non-intrusive, non-decision making device. Also, there are similar devices on the market, and although they do not do exactly what our medical device can do, they are similar. Therefore our approval process should not take a large amount of time or money, according to our legal department. We have a B2B business model. Our customer is the Director of Pharmacy at participating hospitals. The hospital's end user is the nurse. To determine how many devices will be needed, we assess the hospital's customer segment. According to the American Diabetes Association, in 2015, 30.3 million Americans, or 9.4% of the population, had diabetes. Approximately 1.25 million Americans have type 1 diabetes. About 193,000 Americans under age 20 are estimated to have diabetes. In addition, 84.1 million Americans age 18 and older had prediabetes. Diabetes was the 7th leading cause of death in the United States in 2015, with 79,535 death certificates listing it as the underlying cause. All of the people who depend on insulin are customer segments of the hospital should they end up in the hospital at any point in their lives. The Director of Pharmacy Operations at hospitals throughout the United States is our main customer segment and our efforts will be focused on presenting them with a solution to reduce insulin cost while improving safety and making nurses’ jobs more efficient. According to the American Hospital Association, there are 5,564 registered hospitals and 4,862 Community Hospitals in the United States as of 2015. That's 897,961 staffed beds. The end-users of our product are the nurses in these hospitals who administer the medication. We anticipate that they will need 1 unit for every 8 beds. We intend to achieve 20% market penetration within three years if we can get the prototypes manufactured and the clinical testing completed in year one. The software will most likely be acquired by a large medical device company for approximately 10 million dollars, but we are currently being valuated. We are confident in our ability to pay off investors within 4-5 years of our clinical trials if not sooner at our best estimates. There will eventually be units in every hospital world-wide because there is a gap and they are needed as nothing currently exists to measure insulin, print a bar-code, and verify dosage and type with the hospital's EHR. Digital Hospital is the future and the future is now. We have other products and services that will help improve hospital safety and save lives moving forward. This one is our top priority. While we believe our medical device and software platform is extremely useful for hospitals, nurses, and patients, we believe the greatest opportunity for our company is to act on behalf of individual and strategic healthcare innovation investors based upon the data our platform collects that is highly predictive of which companies will be successful. Our first device has projected manufacturing costs of $400 per unit and a projected selling price of $2,499. Leasing option is available. Number of devices per hospital = 1 device per 8 beds. Worldwide there are 21,000,000 beds. We also intend to separately license our volumetric IP to medical device companies who are involved with syringe measurement. Non-medical industries have also shown interest in licensing our technology for non-syringe uses. With your investment, you can start saving lives and easing suffering by solving insulin injection errors in hospitals. We offer series AA preferred stock package. Non - Dilutable with a 2 to 1 Convertible. M&A exit forecast for 5 years.? Please understand, we are inventors and we need partners to help us with this aspect. We will make money because we provide the solution to a huge gap and the industry is excited! This is a great opportunity to get in on the ground level and change the world! We have a medical device company currently testing our software and are interested in purchasing. But we still need to do a clinical trial and providing better prototypes for testing to prove what our current prototype has already proven in actual working data. We have hospitals interested in our clinical trial, and organizations who are excited about the opportunity we offer to measure possible insulin errors for the first time in history. Government organizations and ISMP are working hard to try to solve the problem we have the answer to.